Another vehicle joins the collection this month and certainly bridges the gap between the buses and the Metrocab taxis I own. The vehicle in question is a Mk 3 Ford Transit with the Snoopy nose Dormobile bodywork. J913MJF was new to Humberside Council in 1991 as a welfare bus and although was probably never registered as a PSV, she shares a very similar body to those that were. The running gear is the same Ford 2.5L 'Banana engine' that the Metrocabs use and is fairly bullet proof. 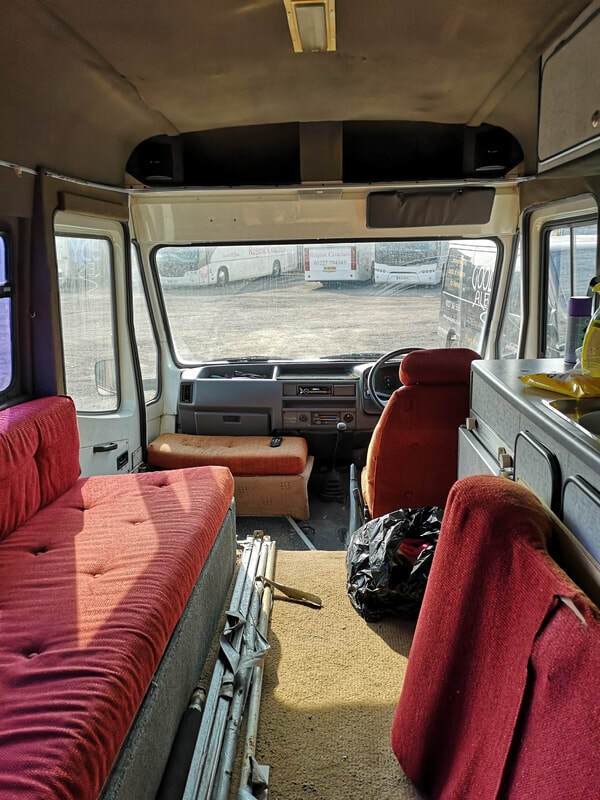 Currently she's fitted out as a motor home. Obviously coming from Kent the big connection for me is the locally built Dormobile bodywork which was constructed in nearby Folkestone so despite the Leicester registration mark (she was supplied by a dealer in the area) she's really come home to place of her birth. So why another vehicle then? Don't you have enough? I can almost hear some people asking me those questions when I tell them this news and they're absolutely correct! Currently I'm working away from home - not a million miles away but far enough to be putting 400 miles a week onto my ageing car which at some point will say "enough is enough". The Transit was bought to allow me to stay locally to my work Monday to Friday as well as allowing us to take budget breaks here there and everywhere. 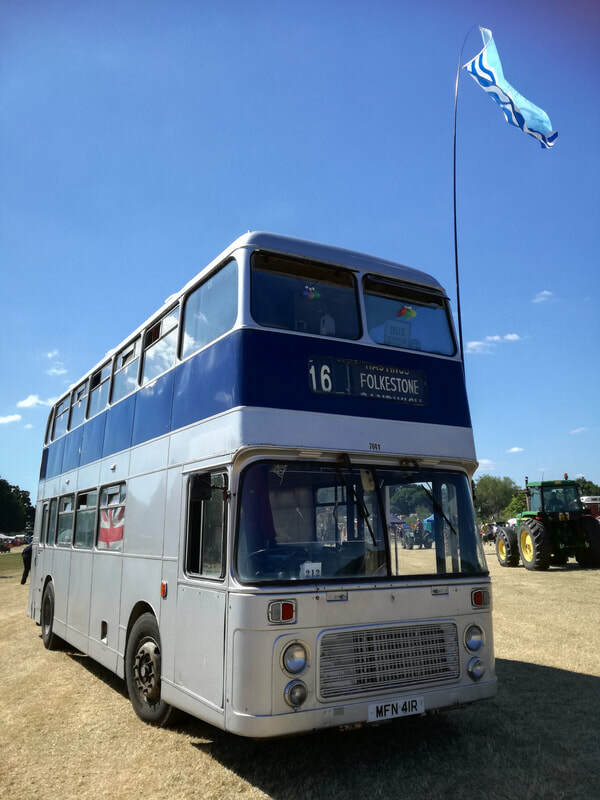 Although I already have a motorhome in the shape of MFN41R, sometimes a doubledecker bus can be too big and a lot of campsites get a bit twitchy when you try to book in. Plus of course there's the fuel bill... 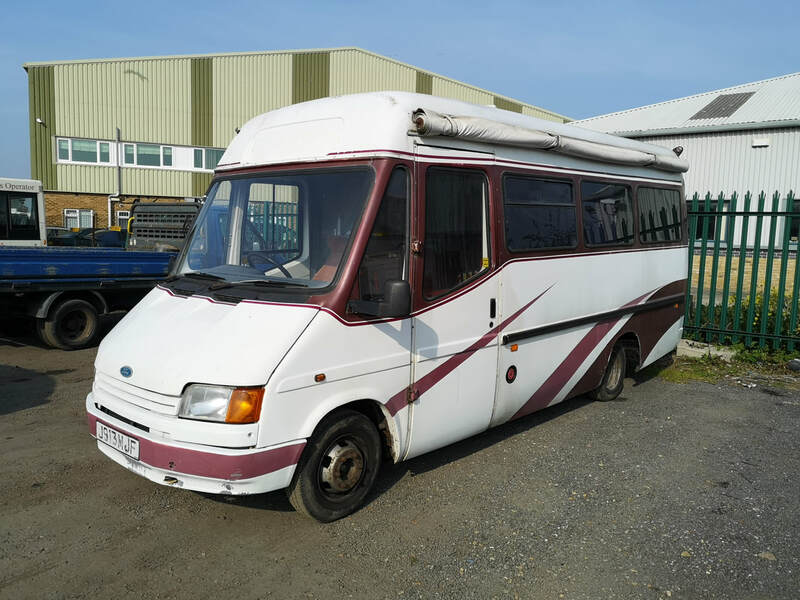 Yes, I could have bought a newer more purpose built motorhome but me being me wanted something with a bit of history and character and after looking at a couple of motors this was deemed to be the best one for full time living. Plus the connection with the locally built bodywork was rather nice. 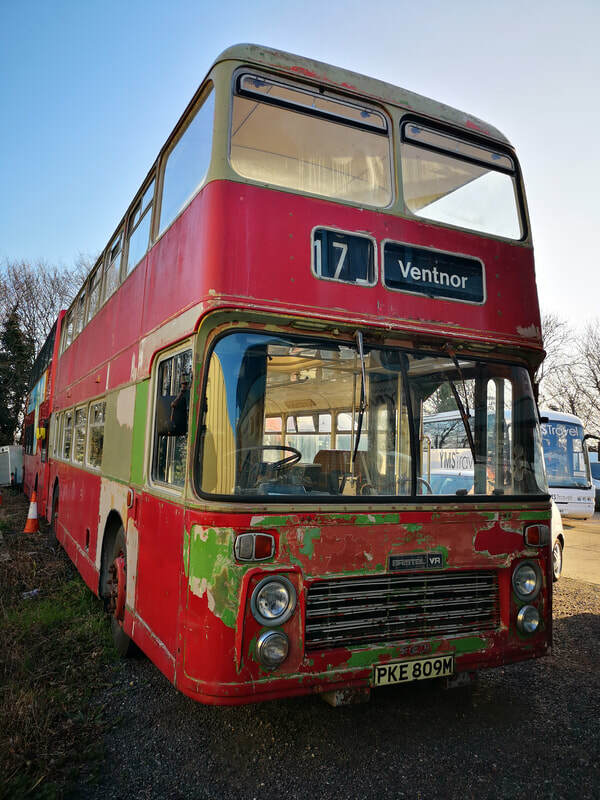 East Kent ran a similar one from Folkestone in the 1990's which was registered D779NUD. Despite being older and slightly shorter they share a common bodywork. Maybe my one would look good in the East Kent 'EK Minilink' livery too...? The interior is currently being tidied up and redecorated. There will be a new bulkhead across the front behind the entrance to help keep the heat in and maintain privacey. It's been a quiet month or two if I'm honest. ​I managed to get over to check over Muff and Perkie the two VR's that are currently living outside. Both were in fine fettle no doubt helped by the fairly mild winter we've had. In other news, I have recently been voted in as Chairman of Friends of the East Kent (FotEK). 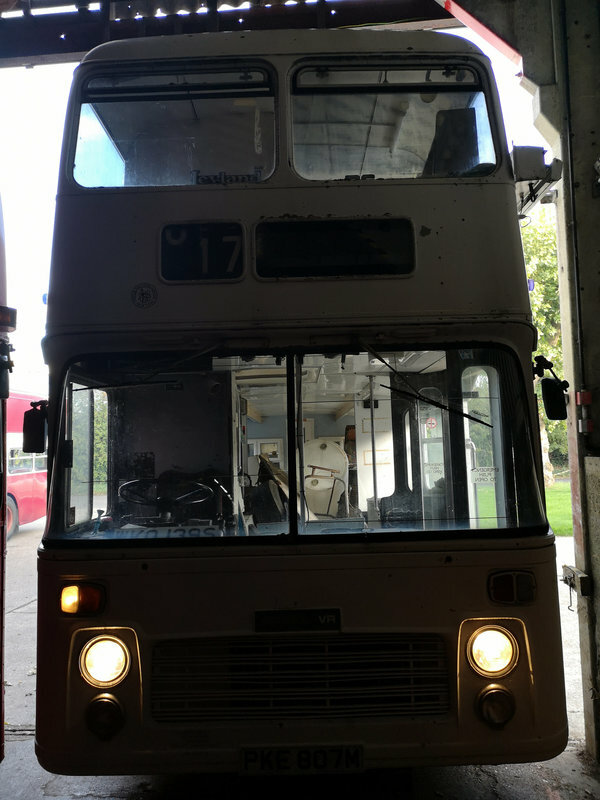 I'm looking forward to tackling the roll and working with everyone else whilst making improvements to our working enviroment (our garage space is rented from Friends of the East Kent). FotEK owned AEC Bridgemaster YJG807 and AEC Regent AFN780B which are superb vehicles and a credit to the team there. 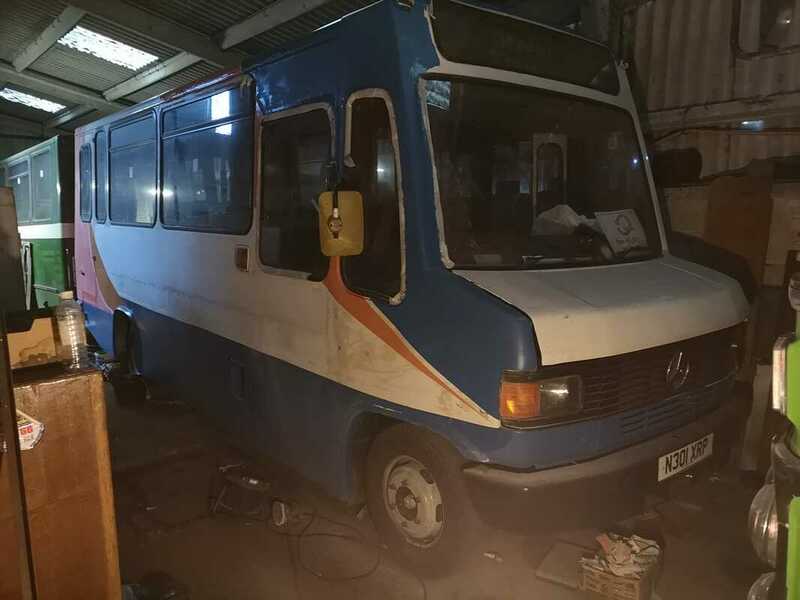 The painting of my former Stagecoach United Counties Mercedes is coming along nicely. She is now all undercoated and is awaiting the application of the top coats. I hope you all had a good Christmas and New Year. Things were very busy with the 'day job' in the run up to Christmas so I didn't have chance to update the website before then. 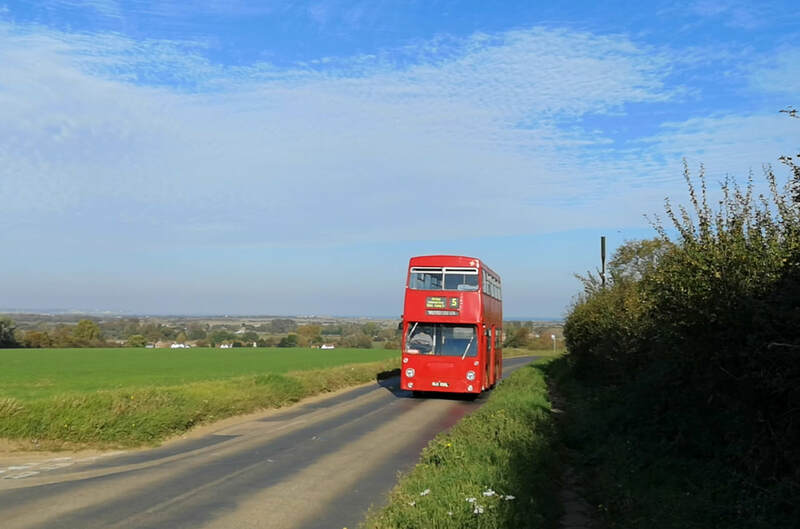 A date has been decided for the Thanet Vintage Bus Road Run in 2019 and this year it's going to be a summer one! Put the 14th July in your diary, the run as usual starts at 1000 at the Ramsgate Boating Pool on the Royal Esplanade in Ramsgate. 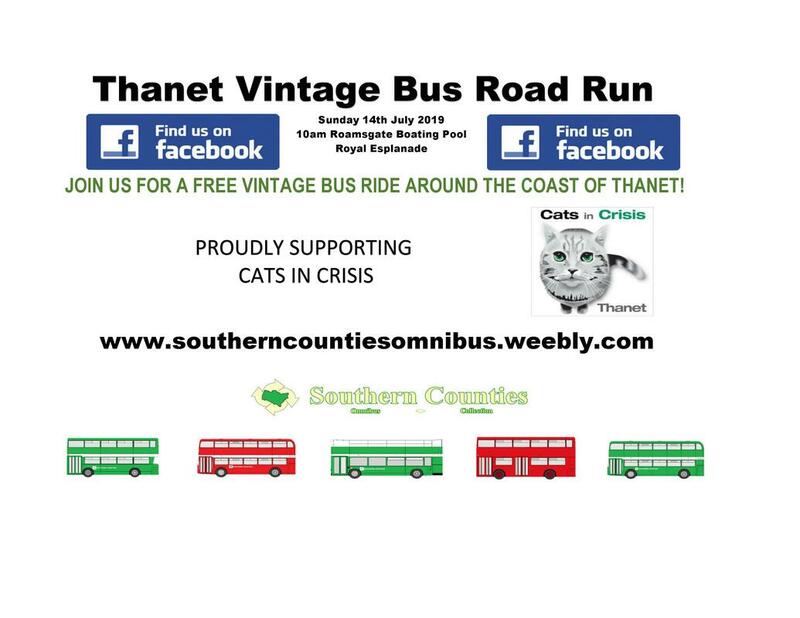 There's a page on the Southern Counties website soley dedicated to the Run where you can download the timetables and a poster too. No vehicles have been confirmed yet but I'm aiming for WKO137S and N301XRP to be there. I can't believe how quickly 2018 has gone through. I'm already planning what's going to happen in 2019. At the moment it looks like MFN41R and (hopefully) WKO137S will be out and about. I could be tempted to put PKE809M out again on a few local shows but it would be nice to actually make a start on her bodywork and get her running tip top first. 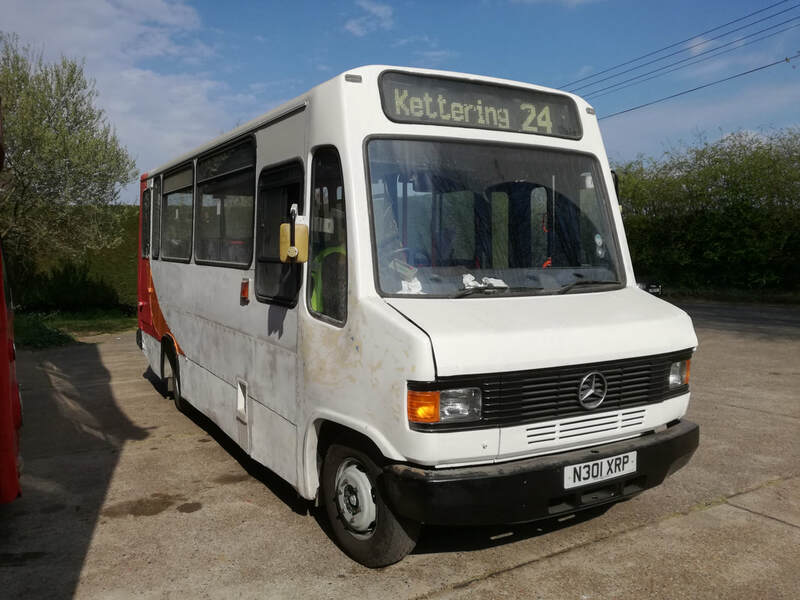 I'm also hoping that I can maybe make a bit of headway with N301XRP my Mercedes minibus. If I can get her done I will definately be attending a few of the more long distance shows. 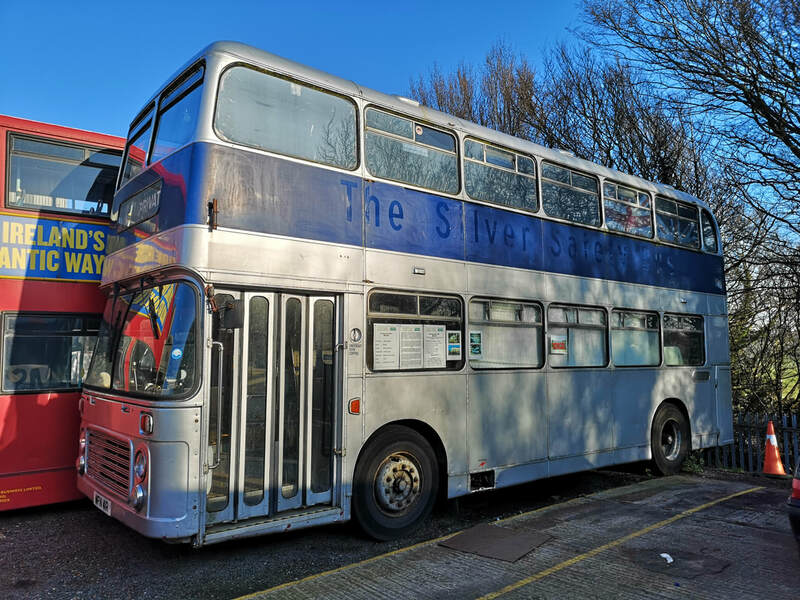 As you might have seen on the Facebook page, PKE807M was swapped around for PKE809M to allow a few tasks to be undertaken and she's undercover - for now. Dramas depending, I'm hoping this work will be undertaken in the new few months. It's been a really busy but rewarding season this year. It's been really nice to have been back into the swing of it all and get at least two of my old girls out to shows. 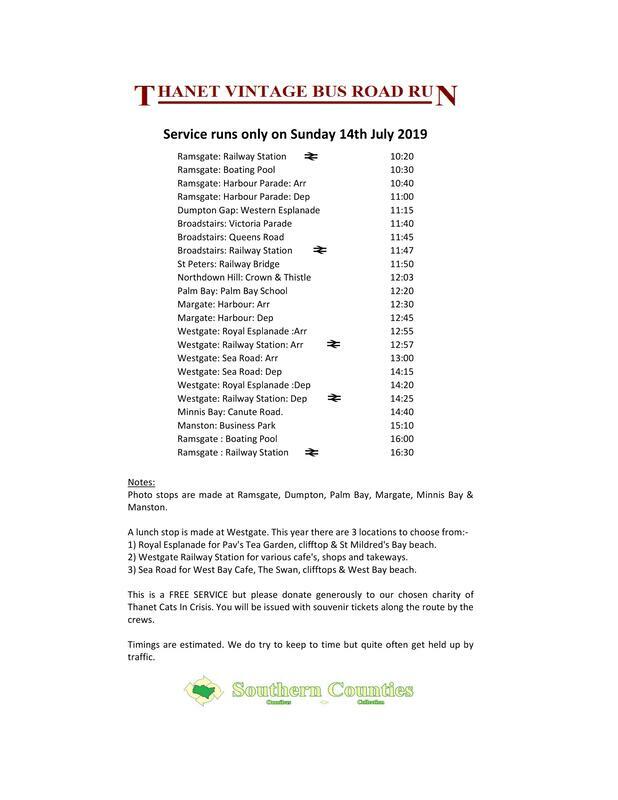 The pictures from all of these have now been uploaded to the sister Southern Counties Omnibus Collection site.